What can I tell you about Monsters? WOW. This is an incredibly powerful ending to an amazing trilogy, but it is not for the faint of heart - for two reasons. It's long and it's very violent. Monsters continues to shock readers with the depravity of so called sane people. Sometimes it's hard to remember just who the monsters really are. 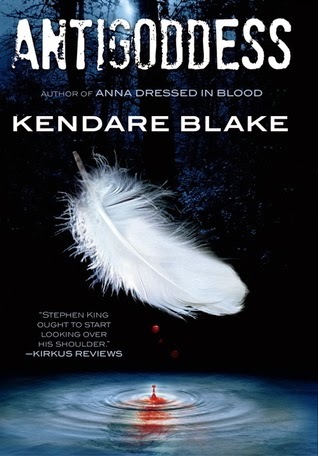 While I really enjoyed this final book in the trilogy I still found it a little confusing and I had to concentrate to keep it all straight in my mind. The action is continuous and jumps around from focus to focus with alarming frequency and I found it difficult sometimes to remember just who's story I was listening to. There are so many characters that you really have to focus and I found myself several times trying to remember just exactly who was who. 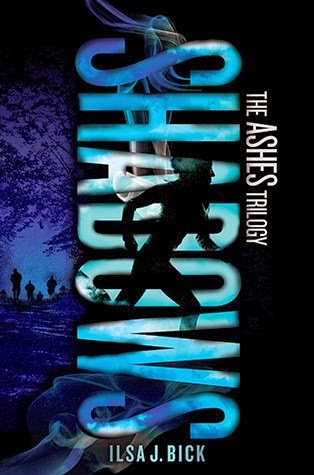 I'm really glad that I read Shadows and Monsters back to back, but I still wish I had re-read Ashes just to help with my memory. Tom is still hunting for Ellie and Alex, who is still hunting for Tom and Chris, who is still hunting for Alex and Peter, who ends up in a whole heap of trouble, and so on and so forth. Most of that trouble is centred around Rule, and I am extremely glad I don't have to visit there. It made me quite breathless at times, and it was never possible to anticipate what was going to happen, so the tension keeps up without respite. Not only are there a lot of characters to keep tabs on, but there are also a lot of plot lines that take sudden twists. One thing is for sure, you will definitely never get bored while reading Monsters. It's a little like reading a train wreck - you just have to keep going and find out what happened. An interesting factor in the story is Alex's heightened sense of smell. There are continued references to various strong and memorable scents - most of an unpleasant nature - and it almost becomes a character on it's own. Sometimes I found myself wondering how these smells would taste on the back of my tongue. I also loved the play on words with the title. There are so many monsters, of varying degrees and types and Ms :Bick really illustrates the monstrous side of human nature and the depths of depravity to which we will sink. In the end though, through all the confusion, the tension, the horror, the final message for me was hope and love, and I loved it - it actually made me cry. Well, snivel anyway. We are lucky enough to have one hardcover copy of Monsters to give away to one lucky reader. US only though - sorry Canadian peeps, next time. So give it a try why don't you? * The giveaway is one hardcover copy of Monsters. and is open to US residents only - sorry Canadian peeps. 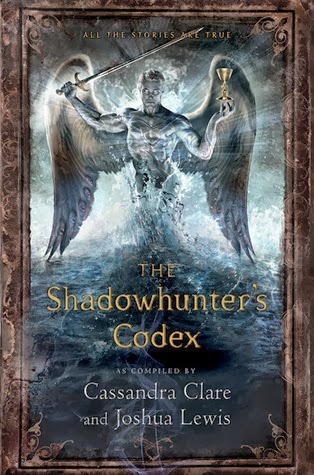 But this isn’t just any copy of The Shadowhunter’s Codex. It’s Clary’s copy, and as an artist herself, she’s sketched pictures of her friends and family in the book, and scrawled helpful advice in the margins. Of course, she couldn’t exactly stop Jace or Simon from adding their thoughts either. Part encyclopedia, part history, part training manual—complete with commentary from Shadowhunters who have seen it all—this beautiful guide is a perfect supplement to the #1 New York Timesbestselling series. This is my washing machine. They certainly are "lost" aren't they? 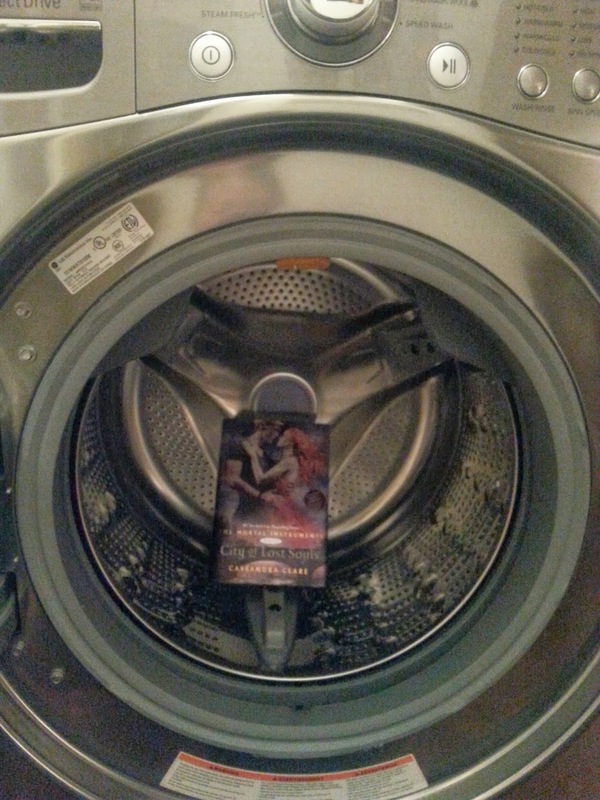 What I REALLY wanted to do was throw up a picture of Fifty Shades of Gray in my washing machine and tell y'all that I like to read dirty books...that perhaps that would have been inappropriate for our YA blog. hahahahaha!!! Brandon Sanderson is an author I have been wanting to read for quite a while now, but for some reason I've never got around to it. 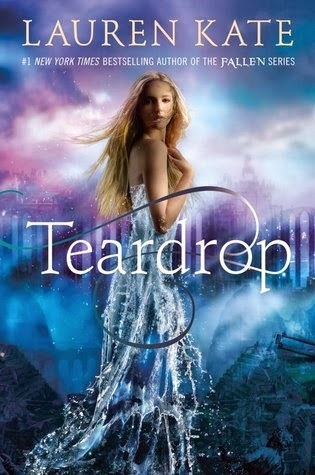 So when I realised he had written a YA novel it seemed like the perfect opportunity and Steelheart did not disappoint. David has spent most of his life trying to work out Steelheart's flaw, or rather his weakness. 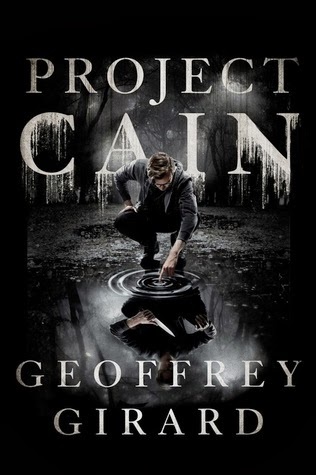 HIs sole purpose is to join with the Reckoners, a group of mysterious vigilantes, and to kill Steelheart. His motives were believable and his actions made sense. When he meets up with the Reckoners his transition from newbie to part of the team is fraught with danger and excitement. The team members, Megan, Prof, Cody, Tia and Abraham, have such a great dynamic that it was a pleasure to read about them. Of varying ages each one has a part to play and does it well, but we have to get to know them along with David. This world that they live in is so well imagined that it was possible to climb through steel tunnels along with them and to witness the illusions as they happen. 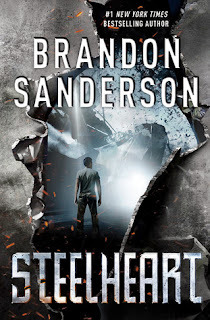 Steelheart is an exciting roller coaster ride into a new world filled with megalomaniacs and unsung heroes. It's fun and interesting and basically un-put-downable! Librarians, this is a great one to recommend to the boys. 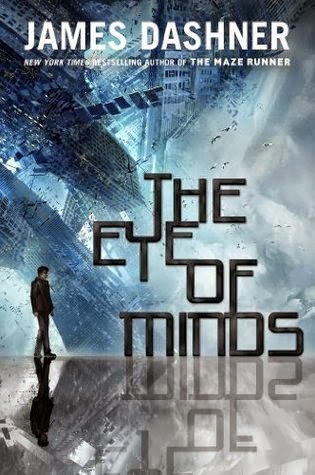 Looks like I've got a thing about "minds" this week! 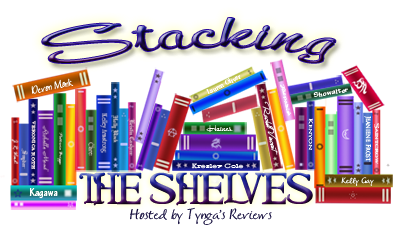 What's on your shelf? Today we're very happy to let you get your teeth into an excerpt from The White Stag by Linden Flynn. When she opened her eyes, she saw mere shapes in the darkness. She was seated but slouched uncomfortably, her arms bound behind her with rope. The room was dimly lit by one candle, and the figures slowly resolved into a room full of furniture and the large man from the bar. “Dirk,” Cypress muttered. Her pain intensified when she spoke. “You waited for me,” Cypress whispered. She should have known not to mouth off. Dirk jumped from his chair and cracked his hand against her lip. She tasted blood, and her head pulsed with the same rhythm as ripples in a lake. “You’re going to wait,” Dirk said. “I’m going to make sure Noble knows the situation he’s in.” Dirk knocked twice on the door and opened it. Dirk’s skinny friend from the night before was standing guard. “Don’t even think about running, girl.” The room shook when Dirk slammed the door. At least he was gone and Cypress had peace to think. Foolish girl, she realized. She hadn’t even given Lyle her name. How would he ever come looking for her? And what if Hazel came to find her? Oh, Hazel… She should have listened to her and left the city with or without Lyle. The trouble with Dirk had been a warning, and now she was paying the price for trusting an outsider. She was tied to the chair but not completely immobile. By pressing her feet hard against the ground, she could effectively push the chair across the floor to the bedside. After each movement, each scrape of the chair against the wooden floor, she looked towards the door and waited for the guard to come in. Luckily, he never did. When she finally reached the edge of the bed, she grabbed the top quilt and tugged it towards her inch by inch. Her bow slipped past her fingers, but she nabbed her quiver and from it retrieved an arrow. She turned the arrow in her fingers, pressed the flint head against the thick cord binding her, and cut at her restraints. The rope loosened itself around her wrists until her hands were free. Blood flowed down into her fingertips and burned her hands like she had thrust them into a flame. With no time to wait for the sensation to pass, Cypress set to work on the rope around her ankles. When the restraints fell away, she stood, free to escape out the window, but just as she touched the windowsill, she heard heavy footsteps outside the door. Had she been too loud? Had the guard noticed her movements? No, she could hear his voice—Dirk was returning to the room. She sat back down in the chair and kicked the loose ankle restraints beneath the bed. 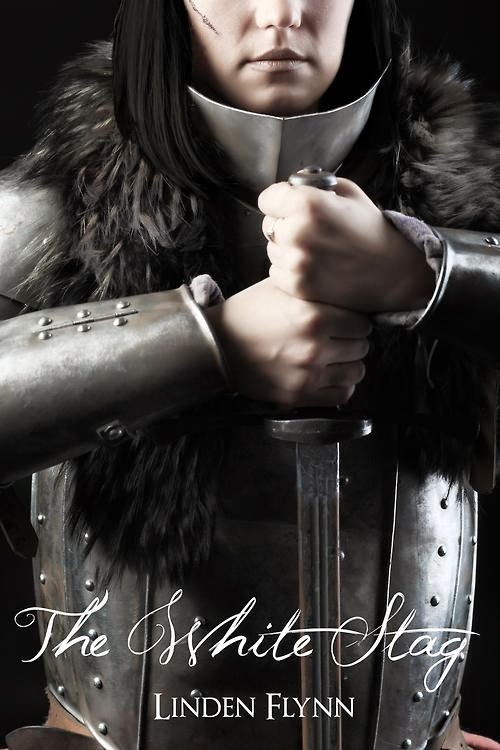 Pulling her arms behind her, she kept the arrow tight in her right hand and adopted the look of a pained captive. “The whole town knows you’re gone now,” Dirk said as he entered. “Been here a day and you’re almost noteworthy.” Cypress said nothing; she wouldn’t give him the satisfaction. “Your little friend is asking about you at the bar. Cypress, huh? Strange name for a strange girl.” Cypress looked up at the mention of Hazel. At least she was safe and in a crowded place. Cypress hoped she stayed there instead of looking for her. She would be safer with Rose. “You shouldn’t have tried to fight me,” Dirk said, standing in front of Cypress’ chair. “I was there to pick a fight with Noble, not you. But if you want to help me get his attention, I’m more than willing to use you.” Cypress caught the smirk on his face, and it made her sick. “Come now,” Dirk said. “Why so quiet?” He reached a hand to Cypress’ face, and she knew that if she did not strike now, she never would. She lunged out of the chair and drove the arrow deep into Dirk’s eye. 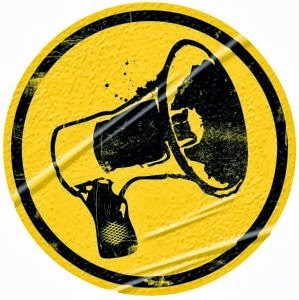 The man backed away, howling in pain and grabbing at the arrow. Cypress seized her bow and quiver, notching an arrow onto the bow. Dirk’s friend opened the door, crying, “What?” Cypress loosed an arrow into his shoulder, and he stumbled out of the doorway. She ran and did not look back. The last thing she glimpsed was Dirk trying to pull the arrow from his eye. I almost didn't get to this one. I kept passing over it, for no real reason that I can establish other than time. Then I decided to give it a go and I am so glad I did. This book is not part of a series - how unusual is that these days? 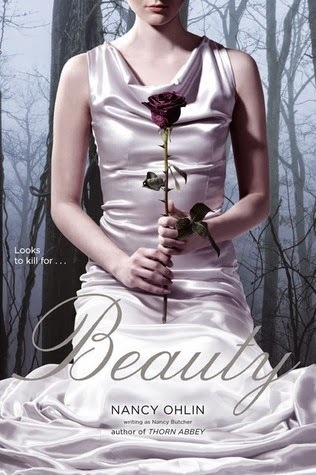 In fact it was originally published in 2008 and has been 'reworked' as a YA novel. Well, it definitely worked. Countdown was exciting. We join Kira as she is dropped into the frying pan, and we basically have to go through the fire with her to find out what is going on. I've been trying to come up with a comparison for Countdown and it's difficult. In fact I couldn't come up with any book titles, just two movies Death Race and Gamer. I don't know if you've seen either of those, but the idea that you are dumped into an arena, of sorts and you have to play a game to the death for the entertainment of others, just gives me the creeps. Oh, wait a minute, I guess Hunger Games would fall into that category, wouldn't it? 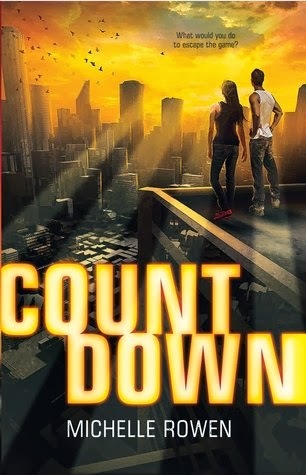 But Countdown didn't remind me of Hunger Games as I was reading. Kira and Rogan are not fighting for any purpose other than as entertainment for faceless 'others' who are watching them via implants in their brains. The action really never lets up. These poor kids are basically given 3 minutes to get out of a room and start surviving tests - each one lasting about 30 minutes. OK, just thought of another book - The Testing by Joelle Charboneau - but again, I didn't think of it while I was reading. Considering the time constraints in the story, the character development was fairly believable. Not insta-love, but insta-attraction, and I'm a firm believer in that. Kira and Rogan don't trust each other immediately, but have to work to gain that trust throughout the game, and there is one instance where I was beginning to think 'oh no, but Ms. Rowen brought them to their senses, thank goodness. Countdown is definitely not a feel good, nice book. 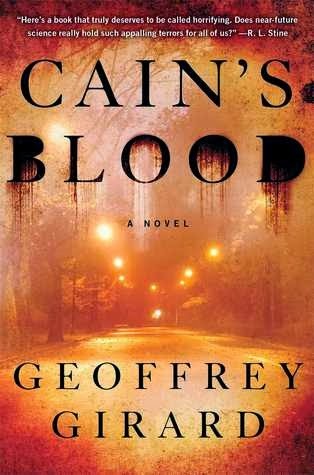 It's gritty, violent and suspenseful, with believable characters and a story that finishes with a very satisfying conclusion. Please Ms. Rowen, don't be tempted to continue with this one. Much as I'd love it, I'm quite happy with the way it ended. If you could choose two authors to co-write a book, who would they be? 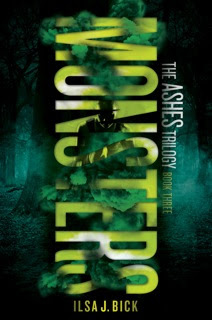 When I was approached by Egmont to review the final book in this trilogy, Monsters, I realised that I hadn't read Shadows. Not sure why, I guess it just passed me by. Luckily, Egmont very helpfully gave me access to a copy so that I could catch up. I had forgotten just exactly how much is going on in this trilogy. There are so many different pov's that it is very easy to get lost and to lose track of what is happening to whom. There's Tom, who's looking for Alex, whose looking for Chris, who's looking for Alex, who may be dead, but maybe not. And then there are Melly and Weller who are helping Tom look for Alex, but not really, because they have their own agenda and they don't really care who gets hurt in the process as long as it upsets the bigwigs in Rule. Then Chris, with Lena and Nathan are getting sidetracked, and it looks as if something is wrong with Lena, which could complicate things even more. Oh, and I forgot Peter, who I think is looking for both Alex and Chris, but I could be wrong there. Then of course there are the Chuckies, or changed, who are really the bad guys, but sometimes I think the regular humans are just as bad, if not worse - except for the eating human flesh bit. Does it sound confusing? Well it is and it isn't. If I managed to sit down and read for more than 10 minutes at a time, it seems easier to keep track of what's going on. 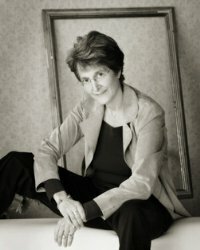 The thing is, despite all the weaving in and out of different story lines, Ms. Bick mhas managed to create and keep a level of tension that is hard to fault. The story is gritty and violent and complex and very engrossing - enough that the jumping around is forgivable - and talk about a cliffhanger ending! If you haven't read this trilogy yet, my recommendation would be to read them quickly, one after the other, so that the characters and actions remain fresh in your mind. I have Monsters set up to go and I'm looking forward to find out exactly what happens. 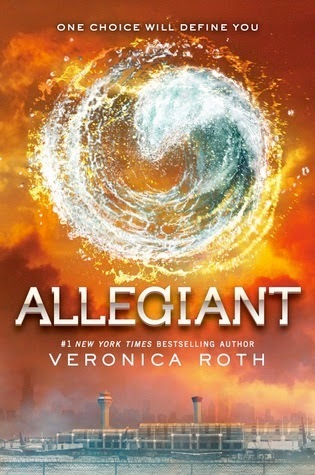 I am embarrassed to say that I have fallen behind...like waaaay behind in the Divergent series. Let's just say that I have yet to read book #2...and now book #3 is already upon us??!! GAGH! So much reading...so little time. Now if I didn't have to sleep, I'd have my TBR pile finished up in no time! 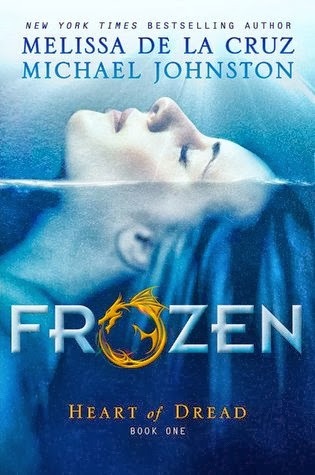 As much of a fan as I am of fairy tale retellings, for some reason this one didn't catch my interest too much. Beauty is very, very loosely based on Snow White, - wicked queen obsessed with beauty and jealous of her daughter, but this one while not modern in setting, had a modern feel to it. Beauty in this instance is a drug, in pill form, that the girls become addicted to. There is a 'little man' who is helping the queen to keep her beauty but nothing really clicked about him. I'd love to be able to pin down what I wasn't keen on in this book, but I think it was just in general. I didn't connect to Ana, and because of that couldn't connect to the others. 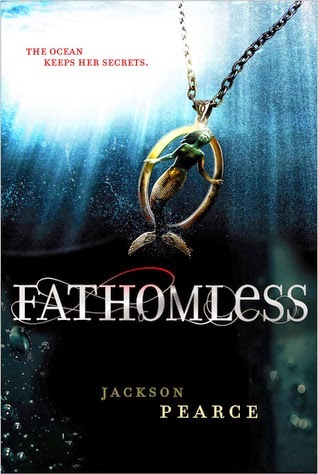 Still, if you are a fan of retellings, give it a try (it's a really quick read) and let me know what you think. It wasn't bad, just not for me. Two of my favorite authors released books in the past couple months that I'm dying to start reading. 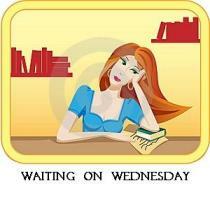 What books have you been itching to start? I pre-ordered this title after hearing about it from Melissa de la Cruz's newsletter. 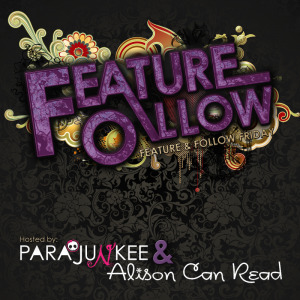 I was intrigued to get back on board with a new series by this author and wanted to see how this husband and wife would work as duo authors. I have to admit, the idea of Vegas freezing over and a new bleak, dystopian future sounded intriguing (albeit a little depressing). The main characters start out in New Vegas but are in fact searching for "the Blue". I truly thought that it would have centered more around the area and this particular reclimatized location would play a major role in their surroundings. It sounded like a very interesting place to be. Gambling still runs rampant despite how most people seem to have very little and have lost much. Nat asks a ragtag crew to take her to "the Blue". It is like a fabled area where the skies are blue and the water is clean and the sun is warm. Basically a paradise most believe does not exist. Throughout their journey they run into all sorts of problems. Natasha also begins to discover that she has some magical abilities that she is not able to control (such as levitating objects). It was an interesting journey fraught with danger, romance and even a little death. Second novels are always iffy for me. I have to had really enjoyed book #1 to make it to book #2 and the latter has a lot to live up to. 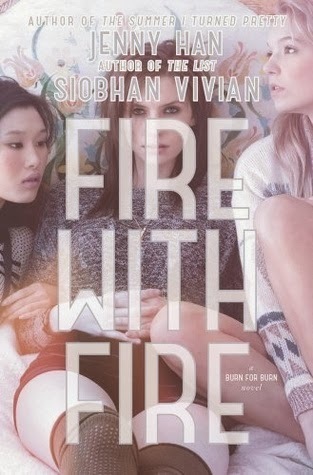 What I loved best about Fire with Fire is that Han and Vivian delivered. They took what I thought was a contemporary novel and bumped things up a notch. I thought I knew where things were headed but in reality, I HAD NO IDEA! After thinking I was so smart in keeping up with the story for the first 90% of the book, it took a major detour! What a shocker! To have books turn my book reality upside down in a truly convincing and believable way is something I look forward to. I want you to shock me, entertain me and leave me flabbergasted. 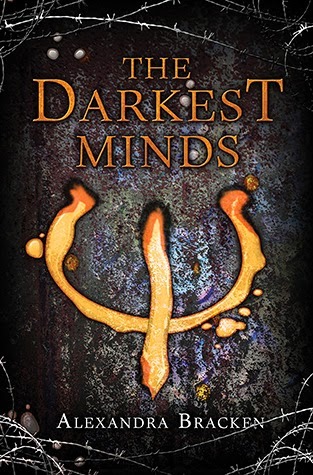 I have to say, as far as a second book series title, this was the best, if not one of the best for 2013 for me so far this year. I love crafting magazines. I get inspiration from seeing what other people make and sometimes spin off my own ideas. My favorite mags are Mollie Makes and Craftmaker. Both are from the UK. Because I don't have a lot of time, I often look for very short easy to make items.